Lanxess’ new neodymium-based performance butadiene rubber (Nd-PBR) plant construction broke ground in Jurong Island, Singapore on September 11. The German chemicals company is investing roughly 200 million euros. The plant, expected to produce 140,000 metric tons of Nd-PBR per annum, will commence in the first half of 2015. Nd-PBR is used in the treads and sidewalls of “Green Tires”. It helps reduce the rolling resistance and increase the fuel efficiency of a tire, according to Lanxess. The material is highly resistant to abrasion and therefore making tires safer and more durable. 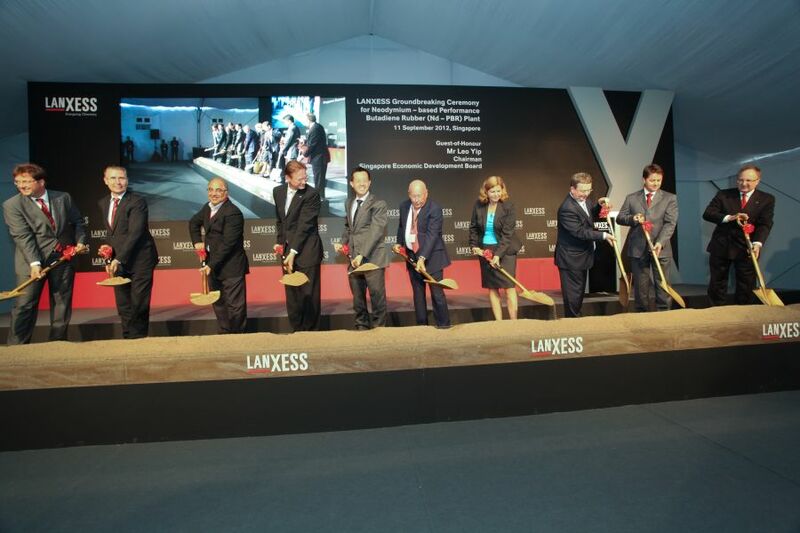 Earlier on September 5, Lanxess also broke ground the world’s largest plant for ethylene propylene diene monomer (EPDM) synthetic rubber in Changzhou, China. 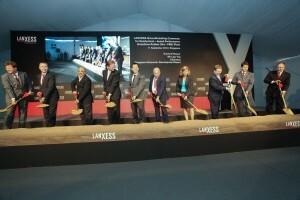 Investment is expected to reach 235 million euro, the largest sum Lanxess has ever made in China. All necessary permits have been obtained from the local authorities. The plant, planned for production in 2015, will have a capacity of 160,000 metric tons per year. It is going to produce in total 10 grades of EPDM for Chinese customers. “This plant represents our company’s third major rubber investment in Asia and strengthens our credentials as the world’s leading provider of synthetic rubber.” said Mr Heitmann at the groundbreaking ceremony. Lanxess will be supplied the key raw materials ethylene and propylene from a methanol-to-olefins (MTO) plant currently under construction at the site. The MTO process is a new way to produce these key raw materials, which are conventionally produced from refineries. The chemical company markets its EPDM products under the brand name Keltan. It is used in the automotive industry as door sealants or windscreen wipers. Lanxess estimates that approximately 7kg of EPDM is used in every car. The product is also applied in the plastics modification, cable and wire, construction and oil additives industries.